Description Printed in sepia. Size 36cm x 44cm (14" x 17"). 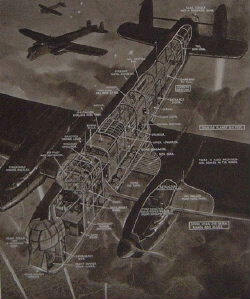 Illustrates the "roomy" accommodation of this long range bomber.